New Zealand's alpine grasshoppers can freeze to endure the winter, but Dr Emily Koot never resorted to such drastic measures to survive her PhD. 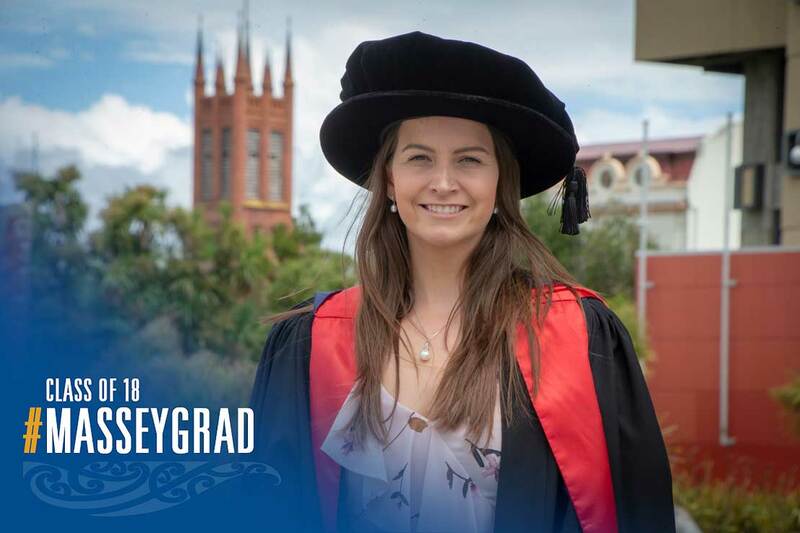 For eight and a half years Dr Koot made Massey her second home, bonding with a tight-knit group in the Ecology department, but last week she graduated with more than four hundred other Massey University students at the Regent on Broadway. 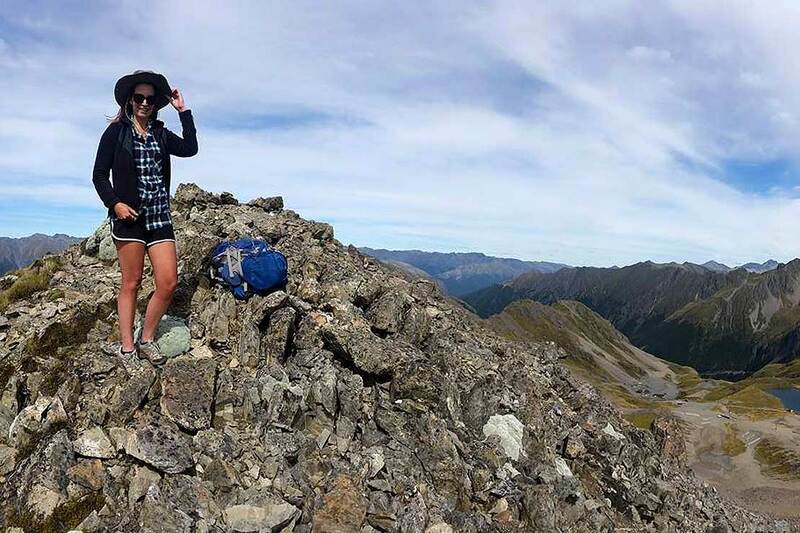 Her research, The Ecology and Evolution of New Zealand’s Endemic Alpine Grasshoppers, looked at how climate change has and will affect the diversity and distribution of New Zealand’s alpine grasshoppers. This included “hopper hunting expeditions” in New Zealand's alpine regions, including ski fields, to find the grasshoppers. Dr Koot first looked at who the grasshoppers were related to and where they had lived in New Zealand in the past. She modelled where suitable habitat for the grasshoppers would have been approximately 15,000 years ago using climate data for that time period. She then compared this to where they are found now, and modelled where we might find then in the future, when the climate is warmer. This allowed her to see if a warming climate would change their distribution, and if they would be found in more or less places in the future. Of the 12 species she studied, she found that the distribution of all 12 is predicted to shrink (or contract) as their habitat disappears and for three species she focused on, this would also mean a reduction in genetic diversity, with some species at risk of extinction. 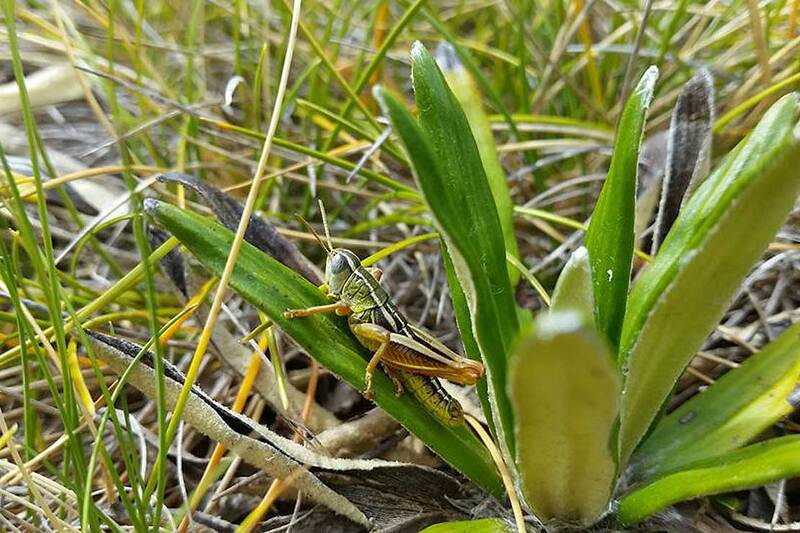 The New Zealand alpine grasshopper. Growing up on a dairy farm near Oroua Downs, and later moving to Palmerston North, science wasn’t always her focus. She developed a passion for inline speed skating – a sport she pursued for 8 years – taking her around the world. “In high school I started taking an interest in the environment, as the concerns around climate change began to gather more attention. Farm life had instilled in me a major love and appreciation of animals, and I felt an urge to do something with my life that could do good - perhaps for the environment. I started out at Massey doing a Bachelor degree in Resource and Environmental Planning, although after a semester I felt it wasn’t hands on enough for me. So, I decided to pursue a Batchelor of Science, with a double major in Ecology and Zoology, not knowing exactly where it would lead me, but knowing it was a subject I was passionate about, and loved learning about. Dr Koot on one of the many grasshoper hunts. Under the supervision of Professor Steve Trewick and Professor Mary-Morgan Richards, her idea for a PhD grew. They developed her project, bringing together her interests in climate change, ecology, genetics and entomology. The study helped by funding from the Miss E. L. Hellaby Indigenous Grasslands Trust and the Massey University Vice Chancellor’s Doctoral Scholarship. “I think I was very lucky during my time studying, as I didn’t encounter some of the obstacles that my peers did, like health problems, raising a family etc. For me, my greatest obstacle was learning how to manage my stress (especially during my PhD), learning to believe in myself and my abilities, and learning how to persevere when perhaps things weren’t going so well with my project, or I was losing motivation. It seems her hard work has paid off, as Dr Koot was employed this year by Plant and Food Research. She is currently working as a scientist for the Mapping and Markers team. The team uses genetic tools to understand key genetic characteristics of plant species that are of importance to New Zealand. For example, developing genetic markers for selecting kiwifruit cultivars faster, and discovering the reasons behind Manuka’s uniqueness. However, her life in academia is far from over and Dr Koot is also in the process of writing additional papers from her PhD research.